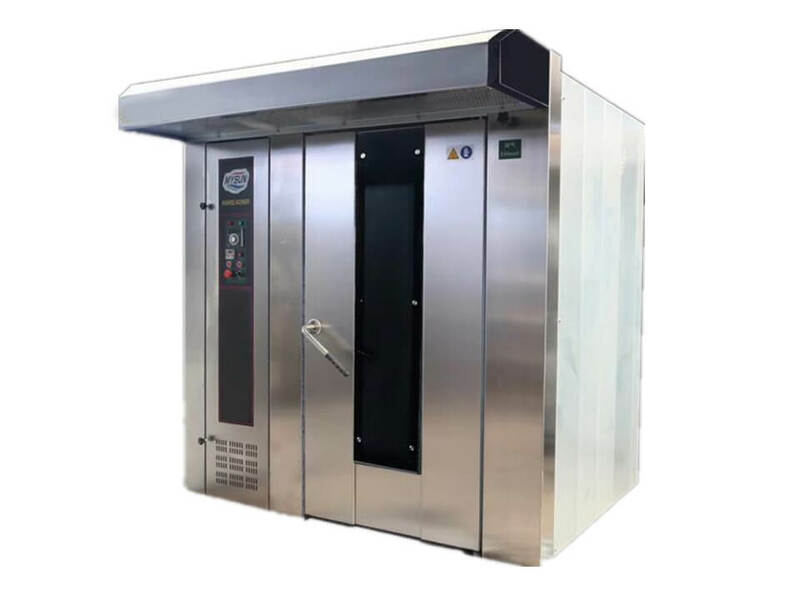 This type of hot air circulation oven is the best bakery equipment for food such as cookies, biscuit, bread, cakes as mooncakes etc. 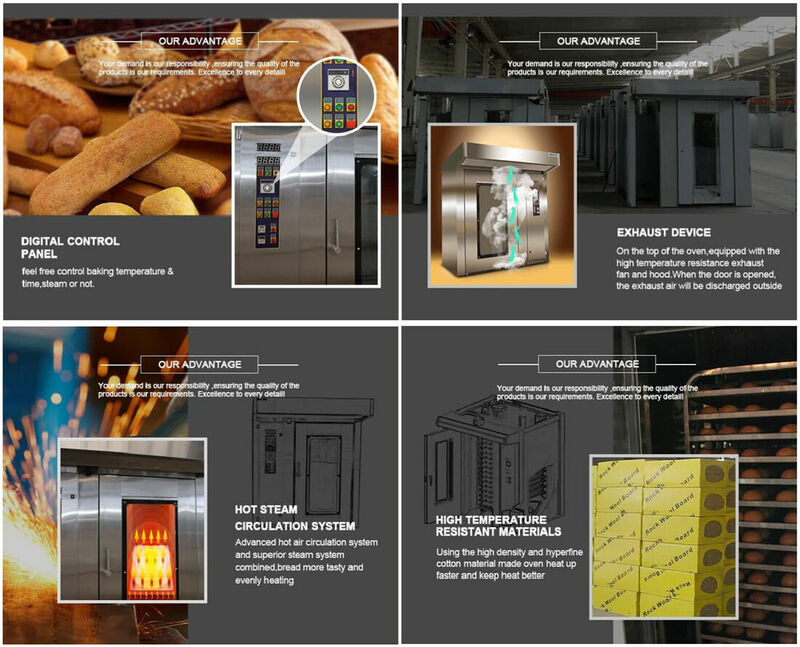 The hot air circulation oven has absorbed the advantages of the similar products at home and abroad, it’s a new generation of energy-saving products with careful design, furthermore, it has been the most advanced food baking equipment an home currently. What's more, the machines can also be customized according to your special requirements. 1. 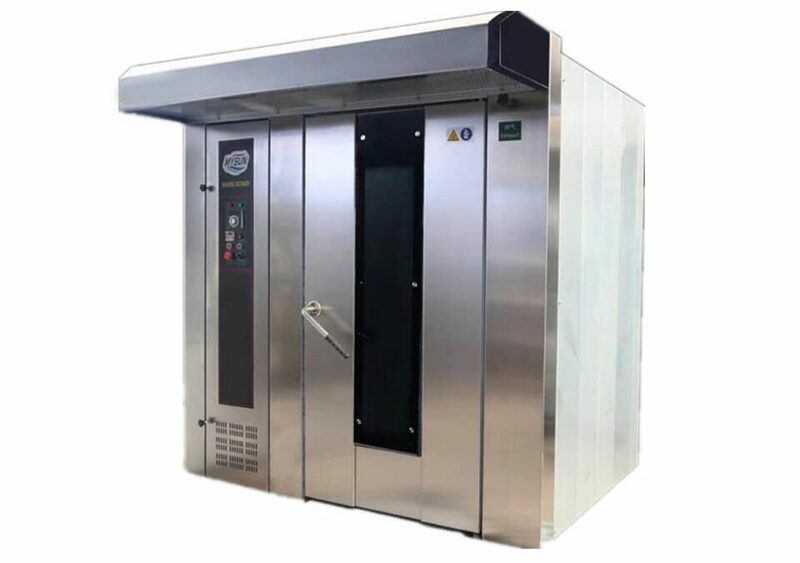 Advanced Technology: This type of hot air circulation oven adopts noise elimination, thermally stable and automatic temperature control system to realize the drying process. The entire circulation system is enclosed to make that the heat efficiency of the drying oven increases from 3~7% of the traditional drying oven to 35~45 %. The highest heat efficiency can be up to 50%. Thus this machine saves energy and increases the economic benefit. 2. Easy Operation: This machine is equipped with a controlling cabinet with touch screen for easy operation. 3. Structual Features: This machine adopts the enclosed structure, so most hot air is circulated in the chamber which ensures high heating efficiency and energy saving. In addition, it has adopted forced ventilation which makes the adjustable air distribute broadly in the chamber in order to ensure an even heating of the products. 5. Power Source: About the power, we can provide you with three choices, they are separately diesel, gas, and electric heating. 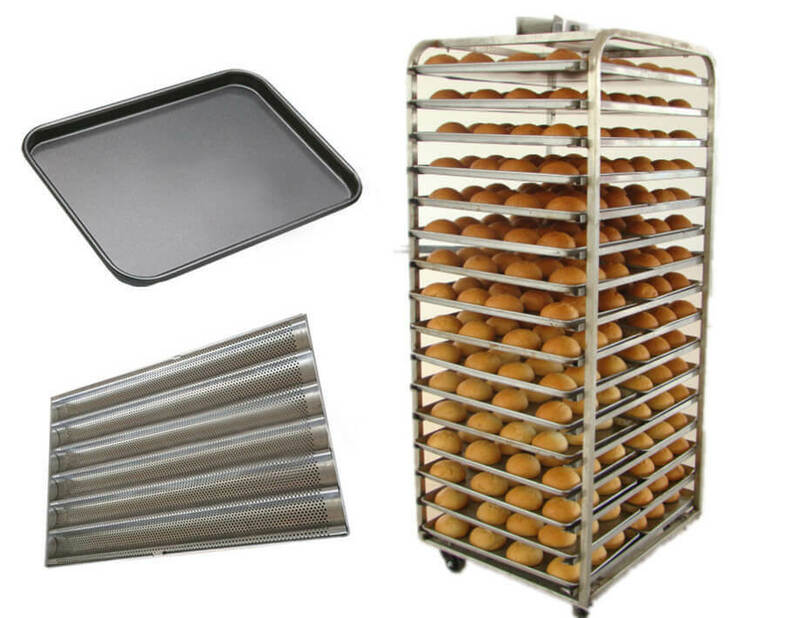 The baking trolley and baking trays are indispensable for the normal operation of the oven. The machine can roast 16 or 32 trays with good baking effect and uniform baking color. 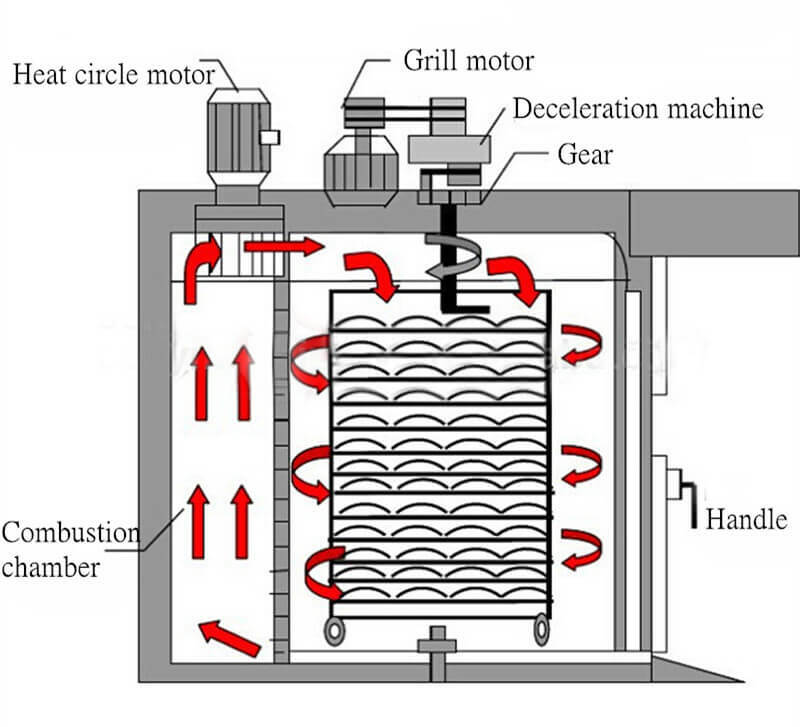 This hot air circulation oven adopts the blower recycling wind pattern which is highly efficient. The wind source, sent out by recycling wind motors activates the wind wheel after passing the heater, and then sends out hot wind. Afterwards, it reaches the inner chamber of hot air circulation oven through the whirl tube and then absorbs the used air into the whirl tube as the recycled wind source, waiting to be used again and ensure the even chamber temperature. The whole process is very energy saving and efficient.